Miguel de Cervantes, the author of one of the most important works of modern literature, Don Quixote, was born on this day in Spain (1547). He entered earth as Jupiter Sextiled Neptune, an influence which draws extraordinary possibilities into one’s life. Hence, it’s not surprising that the writer’s fanciful, farcical tale of a man obsessed by chivalry has been inspiring authors, writers and musicians for more than four centuries (it was an overnight success upon publication). 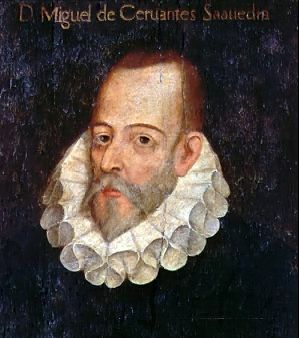 Drawn to deep philosophical perceptions about life and people, this fair-minded Libra (just like me) with his Jupiter in Pisces had a natural interest in the life of the underdog, which clearly played out in the faithful friendship between the Knight of La Mancha and his servant Sancho as they move from one failed adventure to another, chapter after chapter in this legendary tome.